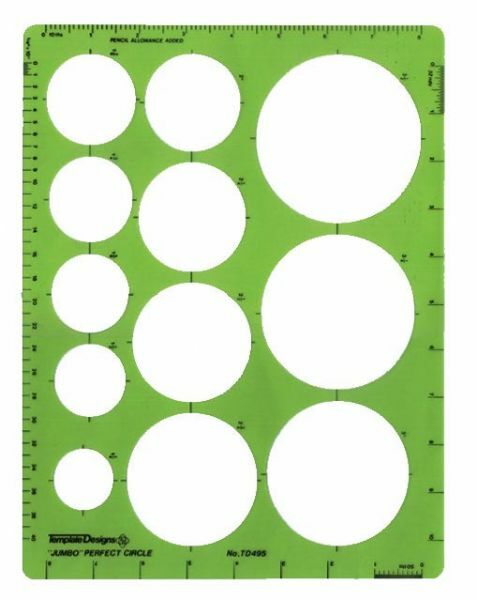 Contains 12 circles 1¼" to 3½". * Size: 9" x 11-5/8" x .030". The scale is 1 1/4" - 3 1/2".